Basic Tools of Professional HVAC Technicians | Sierra Air, Inc. Whether you’re considering becoming a residential AC repair technician or simply looking to perform basic troubleshooting on your own home’s air conditioning unit, you will need a good set of tools to begin with. Of course, don’t go out buying all the tools you see on the store, right away. Knowing what you intend to use is an essential part of preparing tools. In this quick guide, we’ll go over a few standard tools you’ll find in just about any professional tool bag. You don’t have to be a residential AC repair professional to know that having a few tools at home is a good investment for emergencies. The basic tools include an adequate set of differently-sized screwdrivers and nut drivers, wrenches, pliers, preferably channel lock pliers, a tape measure, a level, and a utility knife. These are all standard tools that will benefit you, not only for HVAC purposes but for general all-around handiness around the house. Many heating and residential air conditioning service technicians will expect you to have at least a few good tools in your belt before even considering you as a contractor. These tools are mostly used by HVAC technicians, and we do not recommend it to everyone. Basic tools for HVAC technicians must include left and right-handed snips, tinner’s hammer, hand seamers, crimpers, notchers, and a snap-lock punch. You’ll also find that having an offset duct stretcher is quite handy from time to time, especially if you expect to work with ductwork. Hand folding tools for handling metal ducts are also useful in this regard. As always, if you suspect a serious issue with your air conditioning system, it’s always best to call in a professional instead of attempting the repair by yourself. This is why we wouldn’t recommend investing in HVAC-specialized tools unless you’re interested in becoming a contractor as well. 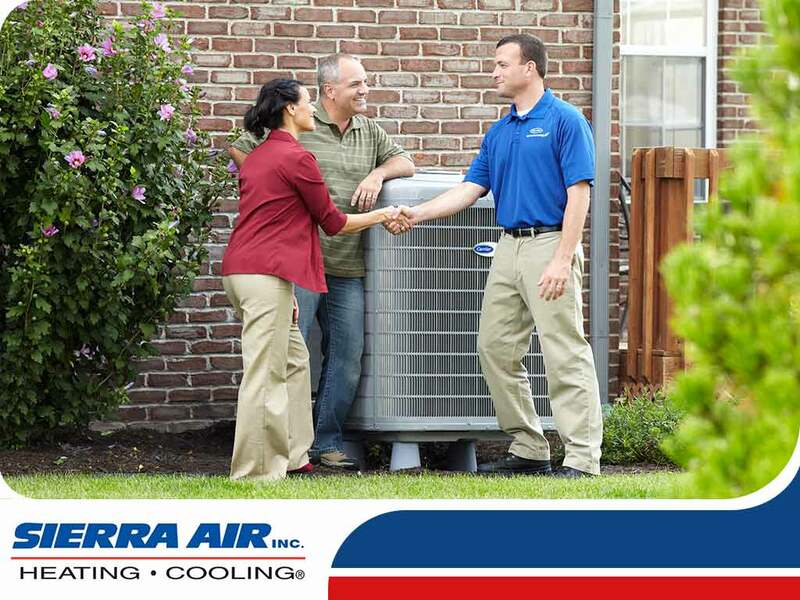 Call Sierra Air, Inc. today at (775) 800-5500 for all of your residential AC repair needs, and get a free estimate! Services are available in Reno and all nearby areas.